When the cue sheet said 93.6 miles for the day, I decided it was time to ride another century. Two other days, we have had 90 mile rides, but I had evening commitments and couldn’t keep on riding. Today, I had all day, so I decided to forge ahead. And we were riding on US 90 with at least a 3 foot shoulder most of the way. Needless to say, when riding 100 miles, you don’t plan to take lots of photos. 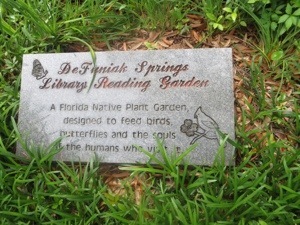 My first and primary photos were at mile 32 when we had an optional scenic detour to Lake DeFuniak. 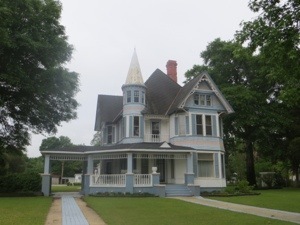 Of course, I opted for the detour to add extra miles, but it was a perfect dawdle detour. 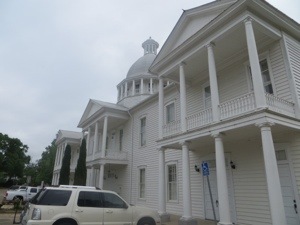 The town of DeFuniak Springs was established as a railroad stop.. 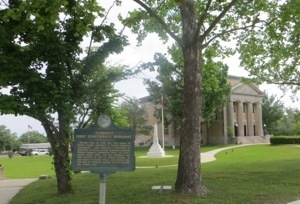 The Springs refers to a freshwater, spring-fed lake located in the center of town. 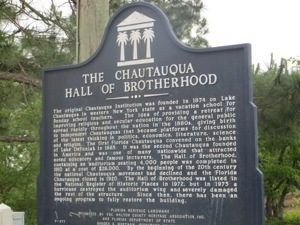 From 1885 to 1922, the town was chosen as the winter home for the New York Chautauqua, combining cultural, educational, and religious activities. 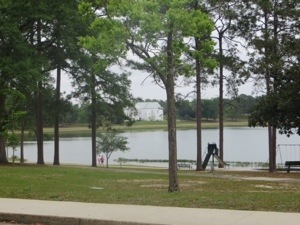 Many of the old homes around the lake remain. 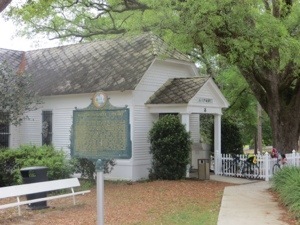 The Walton-DeFuniak Library built around 1886 is the oldest structure in Florida built as a library and still serving that purpose. As I headed back to US 90 to continue on the route, I found this plaque commemorating Florida’s first monument to the Confederacy. 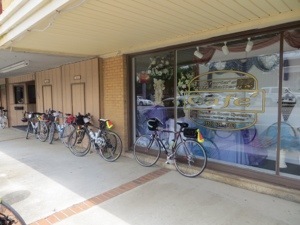 After riding 30 miles alone to catch up with the group, I met Donna, Jo and several others for lunch in Chipley at Gloria’s Cafe. 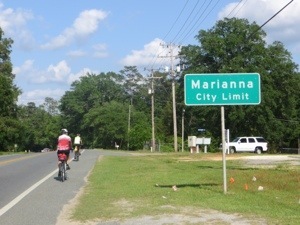 Then it was close to 30 miles to our end destination in Marianna. 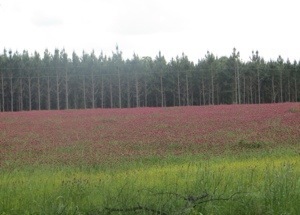 We passed this field full of the red flowers we have seen since before St. Francisville. I had to wander around the Wal-Mart and Lowe’s parking lots to get the extra miles I needed to complete my century. 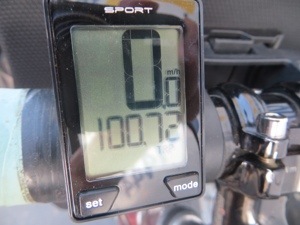 101 miles today; average 12.0 mph. Yay! I love those houses…the blue one with gingerbread looks like a dolls’ house! I can barely sit in a car for 100 miles. Can’t imagine wandering around parking lots to get to that milestone!! Jacque comes this weekend. I am so proud of you. Glad you get to see her coming and going. Hugs to you and your mother. Your trip is amazing. You and your group are accomplishing a dream come true, not the easy way, but a memorable way. Your pics are terrific. 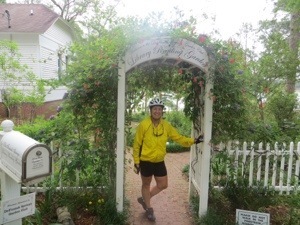 I’m learning some geography and culture … so enjoy following your trip and scenic byways. Keep up the terrific work and I’ll cheer you along. Good luck and stay safe to you and your sister riders. You are amazing Dolly! Thank you for the wonderful blogs! Thanks for your encouragement. I love riding with Donna. I love riding with Donna. We support each other well. I hope she will keep up her cycling when the tour is over. I wanted to read a new blog of this tour. 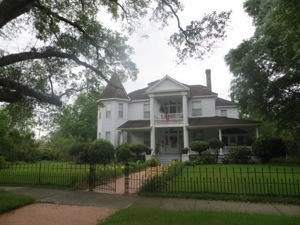 I took the Mississippi River Tour last year at this time. I am signed up for the NW Loop in 2014. One of the riders from the MMR tour is signed up for the ST in 2015. So….two questions for you. 1. Is this your first tour with this company? 2. Now that you have done the tour, what did you like the most and the least of this tour? Thanks and safe travel and enjoy the rest of your tour! Sorry for the delay in responding. This was my first tour with Womantours. I enjoyed the camaraderie of the women, encouraging one another. While some had an “all miles” agenda (like me), others were just doing their best, and that was fine. Obviously some of the road conditions were the worst, which can’t always be avoided. There were some less than desirable hotels, as well, but that is due to remote locations where other options are not available.